Ever since my summer shopping freeze ended, I’ve tried to be very purposeful about new purchases I make. After I pulled my fall/winter clothes out of storage, I did another large closet purge and then made note of any items that needed to be replaced, along with a “wish list” of things I’d love to have for the new season (like a cropped tweed jacket & cognac suede tall boots, to name a few). I then wrote down an amount that I’d be willing to spend for those pieces, so I can begin searching, bookmark my favorites and watch them closely for sales. By keeping a handwritten list, I’m hoping this will help keep me on track with my spending & eliminate those impulse sale purchases. When I was converting my closet from summer to fall, I realized I have an abundance of gray & ivory knitwear, but not many other colors. 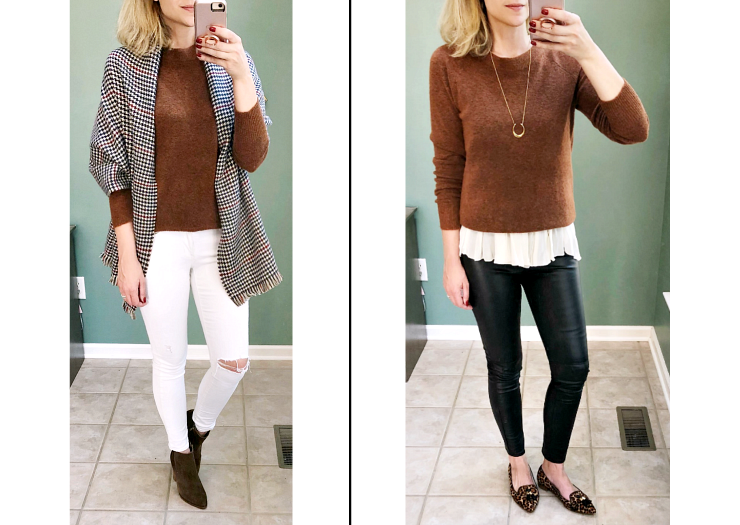 I bought this sweater during a sale over Labor Day weekend and fell so in love with it that I decided to share 6 outfit ideas using this key staple. 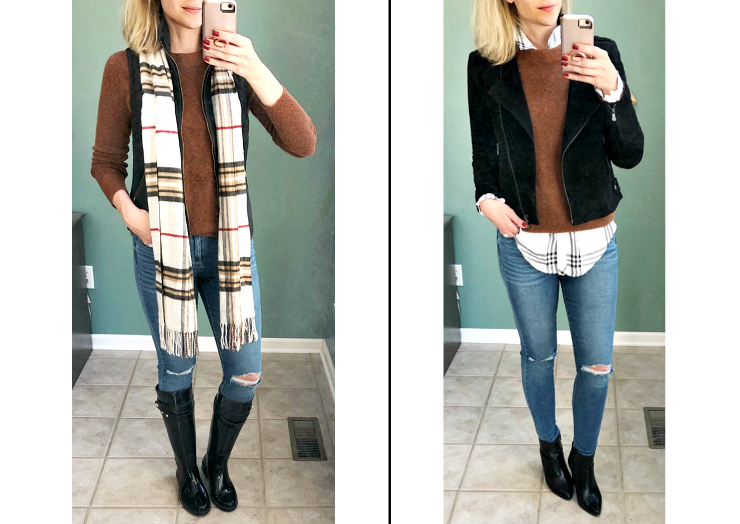 If you’re not shopping right now, most of these looks can be recreated using any camel or gray sweater you already own – hopefully this gives you some new pairing ideas to try with your current wardrobe! In terms of fit, I bought my regular size (it also comes in petite) – if you want room to layer underneath, you could size up, but there’s plenty of stretch to this fabric so it just depends on how slouchy you prefer for your knitwear to be. One of the coolest details on this sweater is the back cutout, which makes it reversible (as seen in the picture below with the white skirt) – I think it looks great both ways & this makes it even more versatile! I personally love this rust hue because it is perfect for fall (and it’s shaping up to be a big color trend for the season), but if you’re looking for a lighter shade, it also comes in a soft pink. 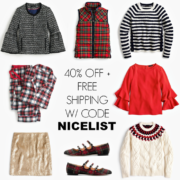 Other sweaters I’ve got my eye on include this button-front crewneck (love the mustard! ), this ribbed jumper (patiently waiting for a sale) and this cashmere sweater (already own in taupe & I’m thinking I need the olive now). 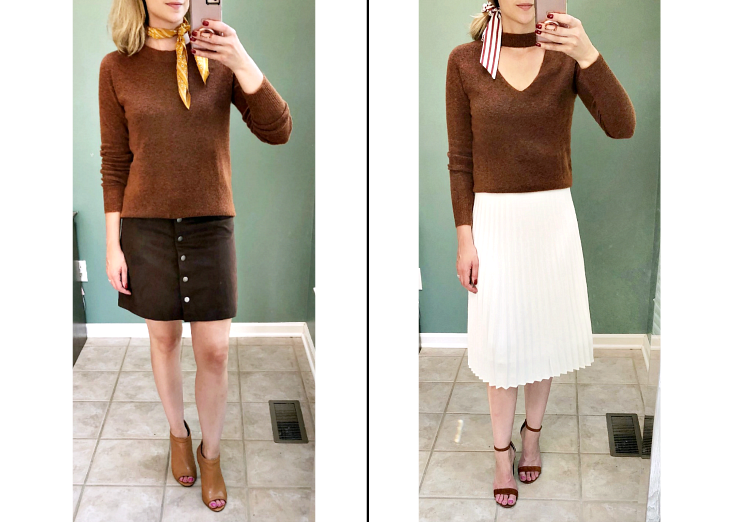 I’ve included more of my top knitwear picks in the scrolling bar below & I’m excited to announce a new feature where you can click just below an item to request an email alert when it goes on sale!